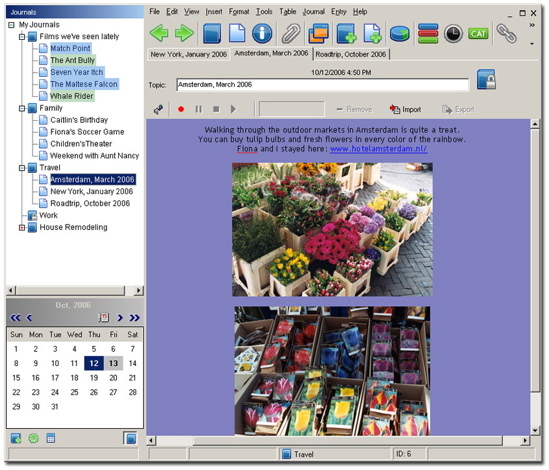 Mariner Software has released the public beta version of WinJournal 1.0, an integrated journaling, blogging, and podcasting software for Windows. Windows users are invited to download the beta application at no charge and make suggestions or submit bug reports. Pricing for the final version has been set at $34.95 for the download version. The shipping version will initially be offered in English, however more languages will be added in the near future. System requirements include Vista, XP Pro or Home, NT Workstation, 2000, or 2000 Server. WinJournal 1.0 is expected to ship in April.14.